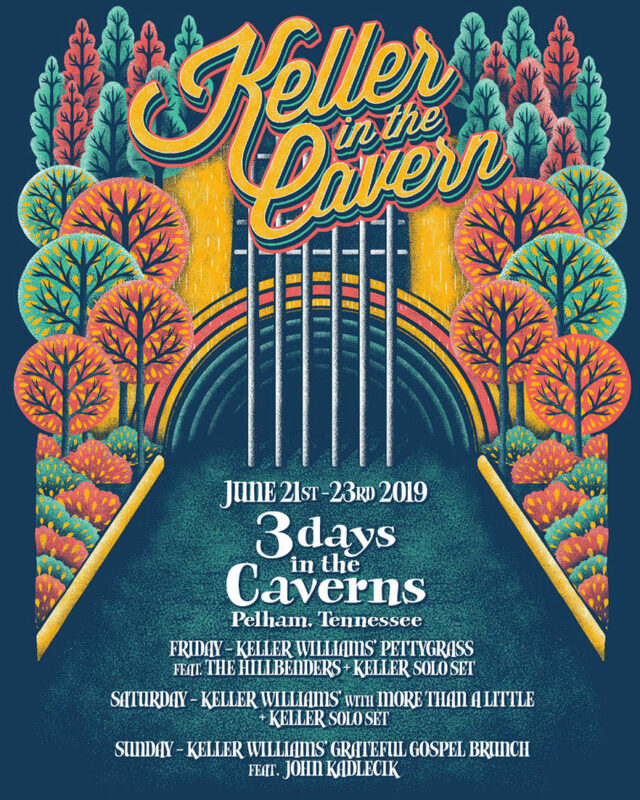 Single day tickets are now available for purchase to attend Keller Williams’ first 3-day event, Keller In The Caverns, on June 21-23, 2019. This unique music event is set to take place in the spectacular underground setting of The Caverns in Pelham, Tennessee (home of PBS’ Emmy Award-winning show Bluegrass Underground).A Limited quantity of 3-day passes are still available, along with a VIP weekend package which includes tickets, lodging for two people, transport to and from the venue and more. To purchase tickets or find more information, click HERE. Genre-hopping multi-instrumentalist, Keller Williams, will perform his signature solo looping sets throughout the weekend and will also be joined on stage by some of his eclectic side projects (Keller Williams’ PettyGrass featuring The HillBenders, More Than A Little, Grateful Gospel). As one of Tennessee’s most extraordinary music venues, The Caverns’ subterranean location and surreal atmosphere is sure to make Keller In the Caverns a remarkable event unlike anything Williams has done before.